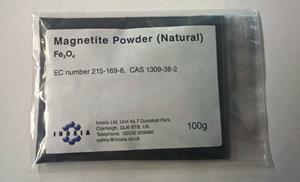 Magnetite is a ferri-magnetic material with good thermal conductivity and heatable by microwaves. 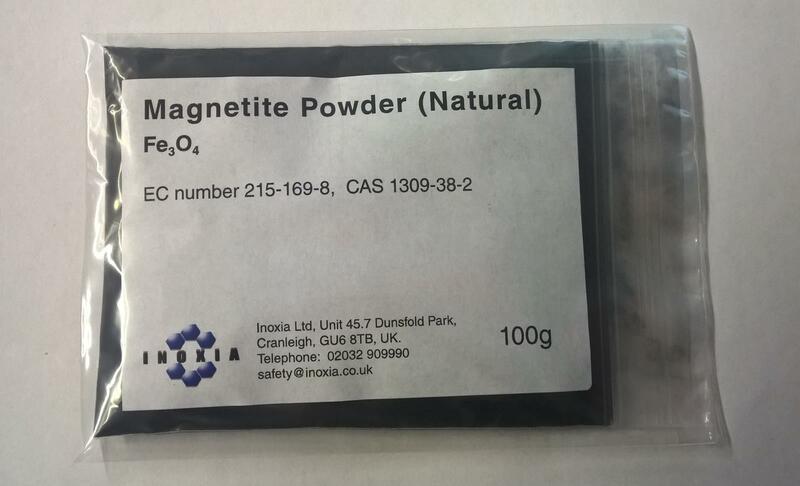 Inoxia holds stock magnetite powder in three grades. This product is of natural origin, mined and processed in Sweden. It is a fine powder with a high density, suitable for making high density components, improving sound dampening, stabilisation and adding a quality feel. The low cost, high density and ferri-magnetic properties makes it an excellent material for coil cores and other work with magnetism. A high performance micronized pigment. 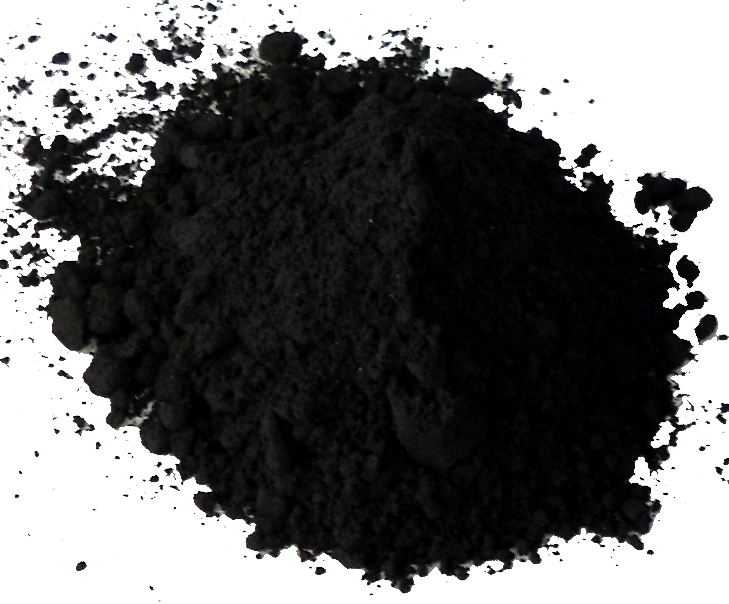 The predominant particle size is 0.2 microns with a lower density and higher purity than the naturally sourced material. A natural origin magnetite with a nominal particle size between 3mm and 8mm. Electrostatic dissipative (ESD) paints and plastics. Do not breathe dust. Avoid contact with eyes. Keep away from food, drink and animal feedingstuffs. When using do not eat or drink. If swallowed, seek medical advice immediately and show this container or label.